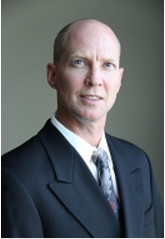 Dennis Gayness, Certified Firearms Appraiser with Triangle Shooting Academy is our guest contributor. The Crime Prevention Research Center reported in July 2016 that more than 14.5 million concealed handgun permits were actively held in the United States. I have been one of those since the early 1990s. Over the years, I have carried different styles and calibers of handguns, whether wearing suits, jeans, or shorts. I often imagined what would happen if a situation arose. In times of duress we fall back to our training. Although I have trained myself in consistent shooting skills and drawing from different positions, I tend to fall back on my years of martial arts training for hand-to-hand combat. Since the age of 18, I have trained in different styles of martial arts including Krav Maga, one of the best real defenses for knife and firearm assaults. Being prepared for anything means visualizing yourself in that activity, my visions have always been in a situation where my firearm was not used. As a responsible concealed carry permit holder, you owe it to yourself and your family to sit down and really think about these two issues. The first question: Can I take the life of another person? In any situation involving martial arts you are in control of the situation to the point that you decide to subdue or, if needed, to end a life. When using a firearm for self-defense, you either pull the trigger or you don’t. There is no “subdue” the offender, there is no breaking an arm or a leg, and there is no knocking someone out or cutting the air flow to the brain. There is only pulling the trigger resulting in possible death; this is the finality that we must be prepared to deal with. Have you seriously thought about whether you have the ability to do this or not? If not, how can you determine whether you can or can’t? What type of training can you do that will help you determine your ability to defend your life, your family, or a stranger’s life, if need be? You are carrying a deadly weapon, what is the purpose if you cannot pull the trigger? I never really thought about this much, until recently when I had a chance to experience real live-fire situational training for self-defense. The folks at Troysgate provided me an opportunity to experience this training, not only to determine my ability at the moment of importance, but to discuss the psychological impacts that occur afterwards. Troysgate Experiential Learning Methodology (TELM) works by using specialized mirrors and actors to simulate different scenarios. I experienced a retail store robbery and a home invasion. 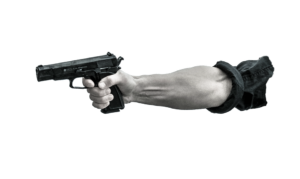 The advantage of this is you utilize your personal carry firearm in a situation where a “live person” is in front of you, or appears in front of you through the use of the specialized mirror. You react to their actions and words allowing you to feel as though you are emotionally and physically immersed in the situation. At the moment of importance, you feel the pull of the trigger and the sound of your own firearm. You see the reaction of someone “being shot” (actor portrayal), and then you are assessed on whether you are the survivor or the victim. There is no tactical paintball training or other methods that I have experienced that can create this degree of realism. This level of training is so real that it is used in law enforcement after an officer-involved shooting, to see if the officer is mentally prepared to go back on duty to protect and serve others without failure to draw their firearm. Determining your ability and state of mind to protect your own life is the first step of thinking through the “What-If” of concealed carry. If you cannot address this first one, the second “What-If” no longer matters. What if I am involved in a shooting? Is it self-defense, what are my rights, what do I say, what do I do, do I call 911, do I have an attorney, do I need one? These are not the questions you want to try and answer after your involvement. This is the second “What-If” that you need to think about and prepare for it. You need to be prepared for legal and civil action against you. How do you prepare for this part? There are so many caveats and details to a shooting incident, how do you prepare for them all? The best way is to really know and understand your rights under the laws of self-defense, particularly in your state. You should also understand your rights in a civil case related to a self-defense shooting. Each state is different. There are so many laws and questions; where do you begin to educate yourself on this? You are not an attorney, or maybe you are, but unfamiliar with concealed carry and self-defense laws. One of the best ways to begin educating yourself is by taking a class from someone well-versed and experienced in these laws. One that I have found to be most knowledgeable is Andrew Branca who teaches The Law of Self Defense. He travels all over the country and teaches the class based on laws in the state in which the class is being held. In his Level II class, he goes over recent court cases regarding self-defense shootings. There are others out there, but this is one that I am familiar with and believe it covers everything you should be thinking about when carrying your firearm. Find someone teaching a similar class that covers every aspect of an incident, from just prior all the way to the courtroom. Take the class and begin evaluating your everyday life and the repercussions of an instance involving you and your firearm. After educating myself with this class and other research, I am re-evaluating carrying a firearm until I know that I am prepared for the “What-If” after an incident. Re-thinking carrying your firearm is not a bad thing, if you are educating and preparing yourself for the “What If.” Prepare yourself for legal and civil action by researching qualified attorneys in your state that handle criminal and self-defense cases. When it comes to your legal defense, you want the best you can get and the most experienced. Keep in mind legal fees for a criminal or civil case can be in the millions, you do not want a real self-defense situation to end up in a court room. You need to have the name and telephone number of your chosen attorney in your pocket or have it accessible with your spouse, significant other, or someone whom you would call first from the police department. Being prepared is part of responsible gun ownership and concealed carry. We all need to be good stewards of our community when it comes to firearms. 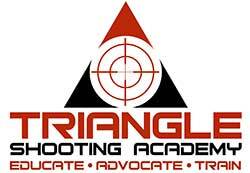 The Triangle Shooting Academy motto of “Educate, Advocate, and Train” covers all the ways we can be good stewards; Educate ourselves on firearms laws and self-defense laws; Advocate for our rights to own firearms and, finally Train ourselves to handle firearms safely and proficiently to protect our community. Don’t be a victim physically, mentally or politically.